This is the story of Bulga, a little town in the Hunter Valley, whose residents wanted to stop a coal mine coming any closer. They used the concept of 'solistalgia' - home sickness while still at home - as a defence and won their case. 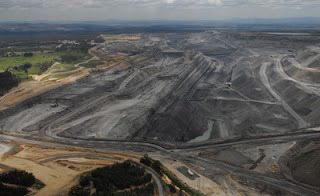 But big carbon is hitting back, with the NSW Government on side. An appeal hearing starts on July 30. We wish the good folk of Bulga all the very best in the battle.